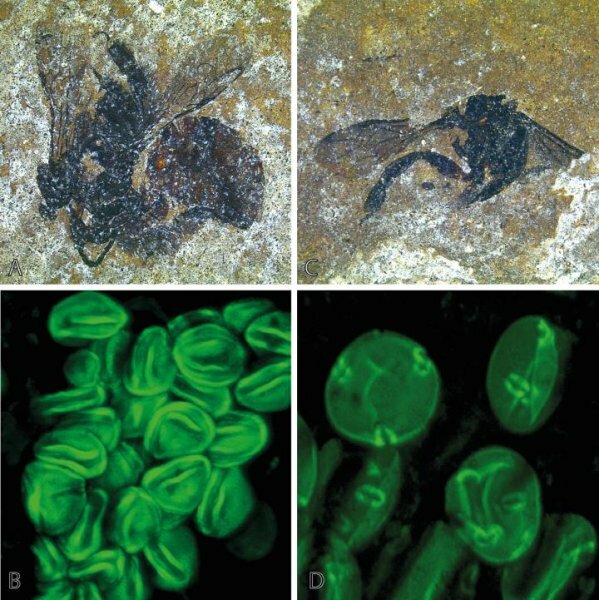 We could title this post, “Fossilized bees discovered to be, fossilized bees”. Let me explain. Here is another “amazing story about evolution. A story about how honeybees collected pollen and stored it in their honeypots (sacs on their legs) but appear to have eaten almost any nectar for their own food. The bees were called “very selective” in their pollen collection for the fossilized bees found at 44 and 48 million years ago. The bees that were found fossilized were from volcanic deposits, supposedly of water filled volcanic formations. The bees died and never rotted away, preserving the bee and the pollen they carried very well. The pollen collected was of one type of pollen but the pollen on their bodies was of many types of pollen. 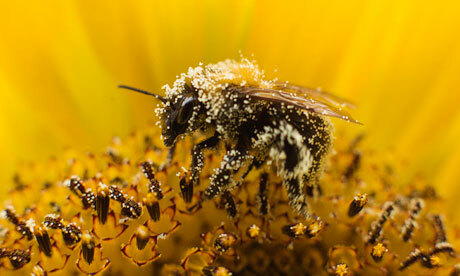 The pollen they ate was from many types of plants but what they collected for the hive was specialized. Much ado is made out of this research as though this is a spectacular discovery; that bees are specialized for certain pollen collection. What surprised the scientists most is that for 4 million years, the difference between the ages of the two fossil bee collections, no real change in behavior was seen since both sets of fossils showed the same kind of generalizations and specializations. But as the article continues. It turns out that the bees of today are also specialized in their pollen collections but generalized in what they use for food. The one thing that surprised the researchers is also the one thing they ignored. Amazed that the bees had not changed in 4 million years, they missed the fact that neither of these bee types had changed in 48 million years; not their behaviors nor their body plans had changed. Bees remained bees.